Made of specially selected, high quality, luxurious velvet that has a small amount of stretch. 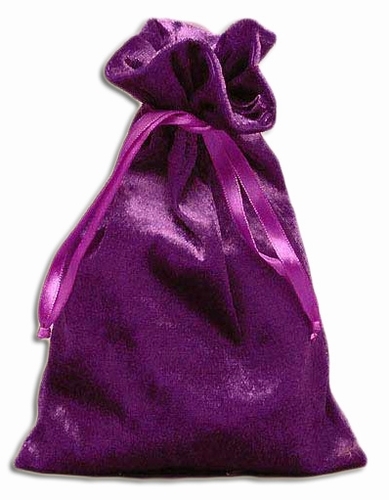 Velvet bags are closed with ribbon pulls. Made from 100% Polyester. The size of bags is full size - usable room under pull is about 2" less in height.